Whether you can’t figure out how to connect a GoPro to a Mac or maybe you’re Mac doesn’t recognize your camera then let me help you with my quick step by step that will take literally 2 minutes of your time. Well, Mac computers can be more user-friendly than Windows computers but sometimes they can be a pain in the a$$ when it comes to connecting peripherals or devices via USB. On Windows, once you plug any device whether it is a flash drive or a camera, a small window will pop-up prompting you to select a choice on what do you want to do with the device. On Mac, the same thing happens when you plug a USB mass storage, the device will pop-up on your desktop screen, however with GoPro nothing will happen. But what is the reason? The reason is that “Image Capture” is not configured to launch automatically on your Mac when a camera is connected with a USB cable. 3- Once it’s open, look on the bottom left of “Image Capture”, there is a setting called “Connecting this camera opens:” then select “Image Capture”. Now to test it, unplug the USB cable then reconnect it and you will see that “Image capture” will launch automatically as soon as you plug your GoPro. You can now import your photos and save it to your Mac. Are there any Other Methods to Connect a GoPro to a Mac? This is the only way to connect a GoPro to a Mac. WiFi connectivity doesn’t work here. 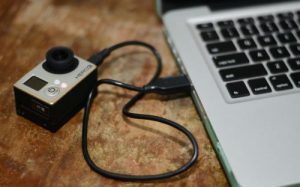 If the reason to connect your GoPro to your Mac is to import your photos then you can use other methods. 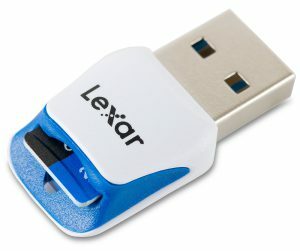 You can plug your microSD card to your Mac using an SD card adapter. Go to “Finder”, on the left under “Devices” you will see your SD card adapter. Click on it to open, then open the folder”DCIM” then XXXGOPRO folders. All your photos will be there, you can now copy and paste or drag and drop to your desktop or any other preferred location. 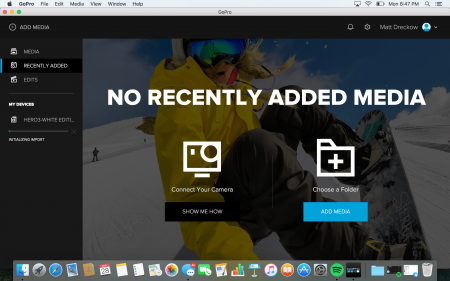 1- Go to the App store and install GoPro app for desktop or Quik. 2- Open GoPro app, a window swill pop-up, on the bottom left make sure you tick “Automatically launch GoPro when I connect my camera”, that way every time you connect your GoPro the app will launch automatically. Don’t tick it if you wish to open the app manually. 4- Connect your GoPro once it prompts you to do so, using the USB cable. 5- You will see your device on the left side. Click on it, the copy and paste all your photos/videos to your Mac. What if my GoPro is not recognized on Mac after trying all the above? There you have it folks, if you’re having issues connecting your GoPro to your Mac then simply follow the above steps and I’m sure you will be able to solve it within a few minutes.